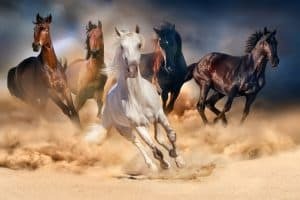 Pisces 2019 might start of a bit faster for you then you may be comfortable with. The energy is moving full speed ahead and it can work in your favor. January 6 is a solar eclipse in Capricorn that new moon in Capricorn is with Saturn so what about getting very serious about the direction you want to go with. 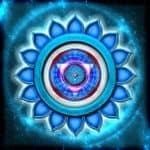 This solar eclipse is happening in a sector of your chart that has to do with friendships and the people that you feel connected to. There is tremendous activity in this arena of your life for this year. Yet it will be important for you to structure your time in such a way that you do not feel taken advantage of or compelled to do more than you really want to. The eclipse patterns will now be between Capricorn in cancer seesawing back and forth between your house of romance in your hobbies in your house of friendships and organizations you may be committed to. Finding balance to have time for both is one of your task this year. 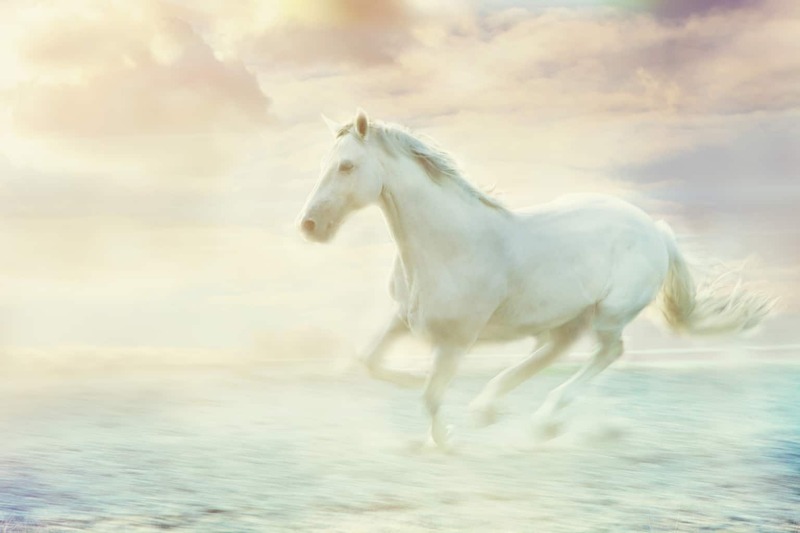 There will be one last lunar eclipse in Leo, the last for nine years, that happens in your solar six house of daily habits, your work routine, and taking care of your health. This happens in late January and you may be inspired to put back into your schedule a healthy diet and exercise that feels right for you. 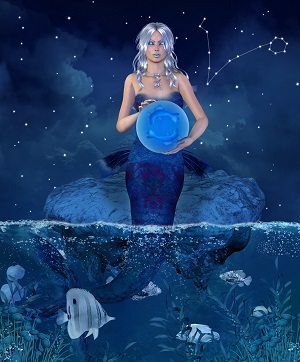 The three Mercury retrogrades that happened this year will occur for the most part in your sister water signs. In fact the first one happens in March in your sign of Pisces. When mercury goes retrograde in your sign it is an excellent time to ruminate and die deep into your mind to uncover your dreams and desires that have been hidden or set aside to bring back to the light. The second Mercury retrograde begins in fiery Leo then steps back into the water sign of cancer into your solar fifth house of romance and joy. Starting from the Leo energy you may decide on a new routine to put into your life that you really enjoy. In fact it may be a hobby you go back to and share with a friend or a lover. The third Mercury retrograde happens in November in the intense psychic sign of Scorpio. 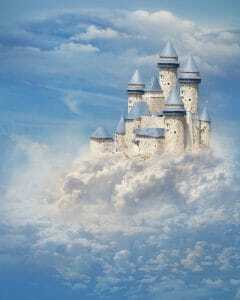 This energy is activating your solar ninth house of travel, knowledge, and teaching. November may be a month that you decide to get away especially if it has to do with the place you have always longed to go. Jupiter and Neptune will be making a square to each other three times this year. As Jupiter is your traditional ruler and Neptune is your modern ruler this is a very important aspect to take into consideration. Jupiter will be spending the majority of 2019 in Sagittarius. Neptune will be at the halfway point through Pisces. Both of these planets are now in their rulership. What this means is when you can connect to the energy of these planets you can now rule. Or perhaps a better way to say it you can feel empowered. However with Jupiter and Neptune square there is a caution to think that nothing will go wrong and then be caught off guard when you are ignoring the earthly responsibilities you have. Jupiter and Neptune do not want to be limited. It is an extremely creative energy, more than our mortal artistic thoughts, it is the spiritual dimension that lives outside of our 3D materialistic world. Working with spirit guides and creative visualization is what it is all about. Saturn will go direct in Capricorn in September and Pluto in Capricorn will go direct in early October. Results from your hard work and effort in getting the recognition you want will begin to pay off. The year ends with Jupiter leaving Sagittarius and moving into Capricorn in December. 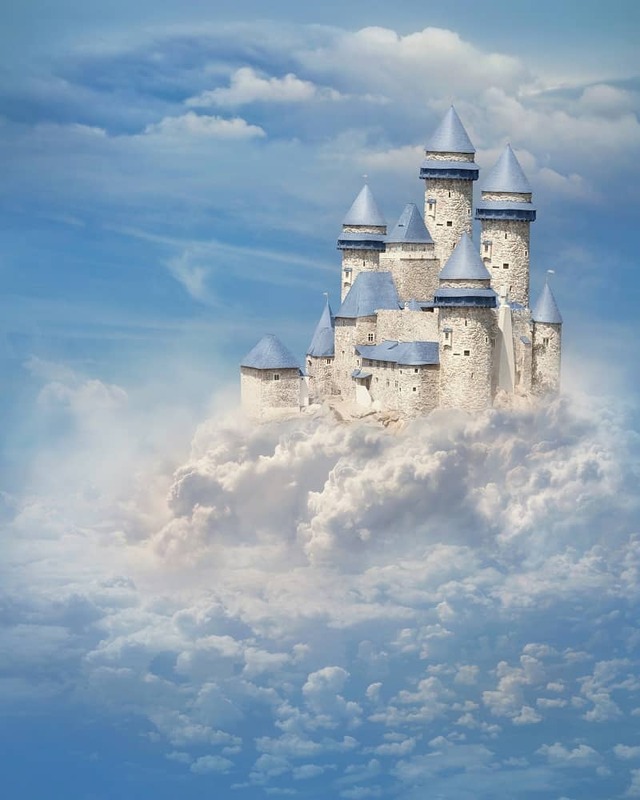 The entrance of Jupiter in the earth sign Capricorn where Saturn and Pluto is begins to beckon a time to come for the old institutions that have taken advantage of the under dog begin to crumble. It foretells a year to come in 2020 we are people who believe in you will be by your side and give you the support that they can. Freedom, independence, and individuality are the key issues for this time period. You find it extremely difficult to continue in a daily activity that is tedious, boring, or simply unexciting. A subtle, but significant, shift in the way you interact with others occurs at this time. You respond to others in a less rigid, stereotyped manner, and you become more aware of each individual’s unique qualities and characteristics. You are very clear and perceptive now. It’s a good time to make a decision or come to an agreement, negotiate, exchange your views with others, present your case. If you are in a profession dealing with words, ideas, or communication, this is a very productive time for you. Ideas flow, and you express your thoughts well. If you are a writer, teacher, student, or involved in any intellectual work, this is a positive time for you: ideas flow and it is easier than usual to express your thoughts. Also, this is a good time for buying, selling, negotiating, and communications of all kinds. You are serious and disinclined to frivolous or inconsequential activity. It’s a time best spent working alone, structuring and organizing your life in some way, and focusing on whatever tasks (however distasteful or tedious) that you really need to do. You feel like withdrawing from people and find social situations unfulfilling or wasteful. Your vitality and your spirits are somewhat dampened. There are opportunities for deep sharing, and powerful, meaningful contacts with others, especially people who share common goals or ideals. An opportunity for a leadership role is also likely. You feel highly competitive, hot-blooded, and impatient, which can cause friction or furiously emotional confrontations with others. Your spouse, children, or parents seem especially able to rouse your ire at this time. Unresolved feelings and issues from the past are likely to trigger emotional outbursts now. Tremendous psychological and inner growth takes place now. Although these changes may not have a great effect on your outer situation, they are very important and beneficial. Elimination of deeply ingrained negative attitudes is possible. Your deepest fears and self-doubts surface, but they do not overwhelm you. Your mental processes are speeded up now. You grasp new concepts very easily, but you tend to be impatient with slower minds or the usual, predictable routine. Nervous restlessness, impulsive or erratic behavior or speech, rushing and coming to a conclusion too quickly are likely at this time. Here is your yearly Astrology forecast for Pisces. You can watch the video for your ascendant too. If you do not know your ascendant fill in the request on the free chart page and I will send your astrology chart to you and that will tell you which signs your planets are in. 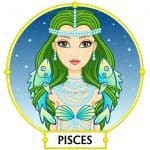 Many astrologers, when they speak of Pisces, will talk about the soft, romantic, dreamy side of Pisces. In astrology Pisces is ruled by Jupiter (and Neptune) and Jupiter also rules Sagittarius. The similarities of seeking truth and wisdom are pertinent to Pisces and Sagittarius yet the outcome is very different. Whereas Sagittarius is fated to find knowledge and teach others, Pisces is fated to be the knowledge, not just say what it is but have their life be a walking demonstration of what is right and just. 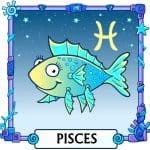 In an unwelcome way this can attract situations into the Pisces life that calls for service and sacrifice that is above and beyond the normal human call of duty. Pisces will find themselves confronted with a situation where they will have to sacrifice something of their personal life to hold true to their ideals about what is the right thing to do. Many times the unfair circumstance has to do with health issues, their own, their children or parents. Such as caring for an aging parent when there are no siblings, or that the siblings refuse to help out. They take on the responsibility of being the caretaker and sacrificing what they would rather be doing with their lives. Another circumstance would be having a child with disabilities or having a debilitating disease. Other situations arise from work or love. In the work place they can be the scapegoat for a problem with the company and are the one to take the fall. Or they are the one that is laid off when someone else who seemingly has less qualifications or seniority stays on. Romantically they can be the one who is waiting for love to be the ideal they know it could be once some problem is resolved. 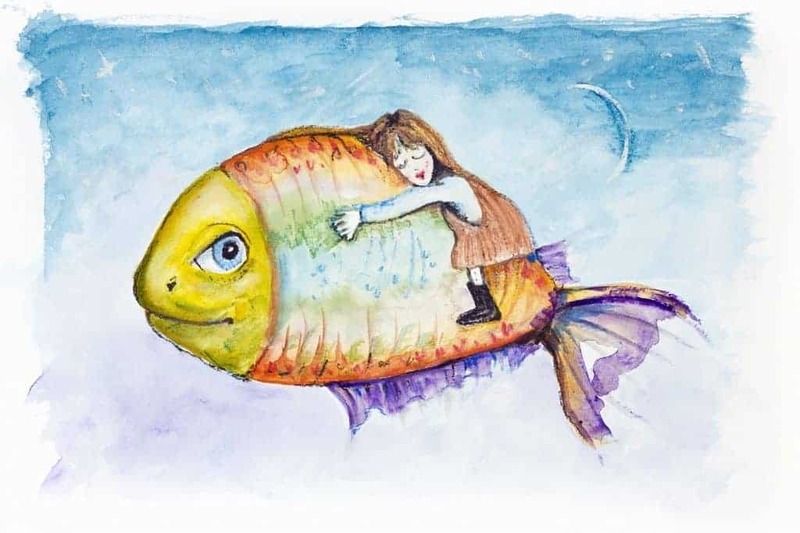 Many times when the Pisces child is growing up they were taught to disappear and they learned to become invisible, or that it was in their best interest not to be noticed. Sometimes when they were noticed they again where the one who was blamed for something. This can have an undesired impact in adult life when they are passed over for promotion or blend into the background at a party. The destiny of Pisces is at some point in their life they will face the question “why me” and depending on how they answer that question their life can be full of pain or bliss. For the Pisces asking the why me question brings heartache and pain, as they may have no answer to why they have to carry a bigger burden than someone else and feel victimized by others, God, or the unseen universe. They didn’t do anything wrong, why me? Why did I get into this accident, I didn’t deserve this. Correlating an unwanted burden or situation with whether or not one deserves something brings pain and no resolution. When the Pisces can answer the “why me” question with I don’t understand dear lord, why you put this burden on me, but I don’t need to understand it, I will do your will and do the best I can. When the Pisces believes that a higher power knows something that they do not and accepts that there is a meaning and purpose to the unfair circumstance then the drama ends. When they accept the challenge and believe that with grace and love to live their life true to high principles and serve a higher purpose they are happy and fulfilled. One of the lessons of Pisces is to set boundaries so not to be taken advantage of. Freeing any inner guilt or obligation to always help someone else out is critical. Many times the Pisces feels that it is their duty and obligation to save someone, yet until they consciously understand why they think this way they can constantly be on call for friends and family that need favors. Choosing when to say they can and can’t is critical, and without feeling upset that someone asks them for a favor or guilty that they said no. It is essential that they learn to say no without feeling the need to explain or justify why they can’t fulfill the request. 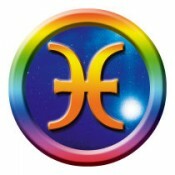 Astrology is a complex subject and this is only one aspect of what Pisces confront in life. The Pisces finds her stride when she realizes that everyone has a burden to carry and life has pain and suffering. Her joy starts to flow into her life when the resistance to what is stops, and ask instead what now and what can I do with what I have. There are many other astrology signatures and qualities of Pisces, yet overcoming the shadow element frees Pisces to shine their light and joy to all. Monthly forecast do not replace your individual chart readings that are unique to your birthday, time of birth, year of birth and place of birth but will give information that will help you with the overall picture for you.overall picture for you.